By Karim Baouz translated by Patrick Blanchfield with photographs and captions by Oscar B. Castillo. Original French below. Having spent many long weeks crisscrossing working-class regions of France together with my indefatigable friend Oscar, we have reached the conclusion that French society is fractured. The Muslim community is in turmoil, and I have the feeling that it is bit-by-bit dislocating itself from the rest of the nation. Movements and currents are confronting each other trying to understand whether Islam is compatible with the Republic, or, if not, whether a rupture is inevitable. The question is very complicated, since it sits at the crossroads of numerous issues (fear, integration, discrimination, etcetera). If one doesn’t explain these ambiguous points, one cannot understand what’s happening in France, or the trends that may carry it away going forward. It’s fundamental to stipulate that French society is traversed by various fears – globalization, unemployment, terrorism, the visibility of minorities, more. Everyone is afraid, and glares daggers at everyone else. The schizophrenia of the French opens a door to all kinds of populisms. And this is the paradox of France, an old country, withdrawing into itself when once it pretended to speak to all humankind. 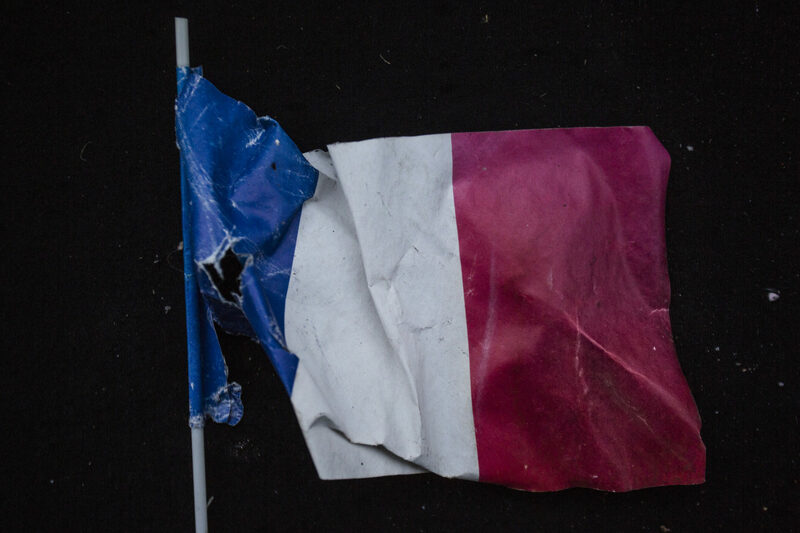 In France, there is no longer any common narrative that transcends social divisions. Different cultural forces pull bit-by-bit on metropolitan France amidst generally reprehensible indifference. Even previously common touchstones are gone. It used to be that many Muslim families would put up Christmas trees and then celebrate the holiday as a kind of festival for children; now, a hardening of attitudes makes this impossible. If fundamentalist religious discourse has been able to so easily permeate France’s banlieues, it is because an institutional emptiness reigns in these regions forgotten by the Republic. This decline of political ideas has occurred in a context in which there is no longer any social advancement for the lower classes, who have been reduced to economic and social exclusion. Insofar as their dignity has been taken from them, these populations feel humiliated. The only thing that can help a young person in a French ghetto get by: rancor and resentment. You learn to live with hatred, through and through. You are neither Arab, nor black, nor French. You suffer the pain of a double lack of belonging. Any national feeling is very fragile among this generation, which endures segregation and rejection by French society. France is an idea. And it is because I believe in this idea that I became a journalist. The French dream is real. In order to realize it – to avoid the storm that is coming – we have to believe in it and we must embrace the collective history of the country. The traditional French story must be modified. Millions of French people have another national story beyond that of Asterix the Gaul. One can take start from a different place and yet wind up in the same place. The story of France is Joan of Arc, sure, but it’s not just that. It’s also the story of the integration of immigrants who have given so much to France. You can be named Oscar and come from Venezuela, or Karim and come from Algeria, and be happy and proud to be French. What matters is that the state shows care for you. Millions of French people have come from elsewhere, but nobody remarks on the fact. Worse, these people are essentialized, shackled to their religion alone. Yet, there is a paradox: The state cannot simultaneously demand laïcité (French secularism) of these people while, at the same time, only seeing them through the lens of religion. The world has changed, and if France wants to remain France, it must open itself up to the stories of others. The Republic must open its generous arms and adapt to the personal stories of its citizens. French people who come from elsewhere invoke a multiplicity of belonging that is not irreconcilable with the republic. They advocate a multiculturalism “Made in France” and call upon French society to reform itself in the name of its own core values. Apres avoir sillonnés pendant de longues semaines les quartiers populaires de France, avec mon indéfectible ami Oscar, nous avons constaté que la société française est fracturée. La communauté musulmane est en ébullition et j’ai le sentiment qu’elle se disloque peu à peu du reste de la nation. Des mouvements, des forces, se confrontent pour savoir si l’Islam est compatible avec la République ou si au contraire la rupture est inévitable. La question est très complexe car elle est au carrefour de nombreuses problématiques. (Peur, intégration, discrimination, etc). Si on n’explique pas ces points équivoques on ne peux pas comprendre ce qui se passe en France et quelles sont les tendances qui l’emporteront. D’une part, il est fondamental de préciser que la société française est traversée par des peurs. (Mondialisation, chômage, terrorisme, visibilité des minorités etc).Tous le monde a peur et se regarde en chien de faïence. La schizophrénie des français est la porte ouverte à tous les populismes. Même les pierres de touche précédemment communes ont disparu. D’habitude, de nombreuses familles musulmanes installaient des arbres de Noël et célébraient les vacances comme une sorte de festival pour enfants; Maintenant, un durcissement des attitudes rend cela impossible. Si le discours religieux fondamentaliste à pu imprégner si facilement les banlieues française c’est parce que règne dans ces territoires oubliée par la république un vide institutionnel. Le déclin des idées politiques s’est produit dans un contexte ou il n’y a plus de promotion sociale possible pour une partie importante des classes inferieurs, réduites à l’exclusion économique et sociale. Puisque on leurs ôtent leurs dignités ces populations se sentent humiliés. La seule chose qui aide à vivre un jeune du ghetto français : c’est la rancœur et le ressentiment. Tu apprends à vivre avec la haine chevillé au corps. Tu es ni arabe, ni noir, ni français. Tu souffres du mal de la double désappartenance. Le sentiment national est très fragile chez cette génération qui vit très mal sa ségrégation et son rejet par la société française. La France c’est une idée. C’est parce que je crois à cette idée que je suis devenu un journaliste reconnue. Le rêve français cela existe. Pour le réaliser – pour éviter la tempête qui vient – nous devons y croire et nous devons embrasser l’histoire collective du pays. Des millions de français ont une autre histoire nationale que celle d’ Astérix le gaulois. Le roman traditionnel français doit être modifié On peut partir de chemin diffèrent et se retrouver dans un même endroit. L’histoire de France, c’est Jeanne d’arc mais pas seulement. C’est aussi celle de l’intégration des immigrés qui ont tant donné à la France. Tu peux t’appeler Oscar et venir du Venezuela ou Karim et venir d’Algérie et te sentir heureux et fier d’être français. Encore faut il que l’Etat s’intéresse à toi. Ces millions de français venu d’ailleurs, personne n’en parle. Pire on essentialise ces populations en les enchainant uniquement à leurs religiosités. On ne peut pas à la fois faire des injonctions de laïcité à ces populations et ne les voir que sur le prisme religieux. Le monde a changé et si la France veut rester la France elle doit s’ouvrir à l’histoire des autres .La république doit ouvrir ses bras généreux et s’adapter aux histoires personnelles des citoyens. Ces français qui viennent d’ailleurs invoquent la multiplicité d’appartenance culturelle qui n’est pas inconciliable avec la république. Ils prônent un multiculturalisme made in France et appelle la société française à se reformer au nom de ses propres valeurs. Debate and Turmoil within the “French Muslim Community” was written by Karim Baouz as part of a collaboration with photographer Oscar B. Castillo and with support from the Magnum Foundation’s “On Religion” project. For more of this project, see “The Crescent, the Cross, the Star, the Void” by Oscar B. Castillo and “Images of the Void” by Elayne Oliphant. Karim Baouz was born in Paris in one of the many forgotten ghettos were immigrants have coexisted with — and been excluded by — native French citizens for decades. First a jurist and legal assistant on criminal cases, he turned to journalism and is now a writer and producer of audiovisual content for different a variety of outlets. Baouz’s work is mainly related to the topics of segregation, crime, and extremism where he comes from. 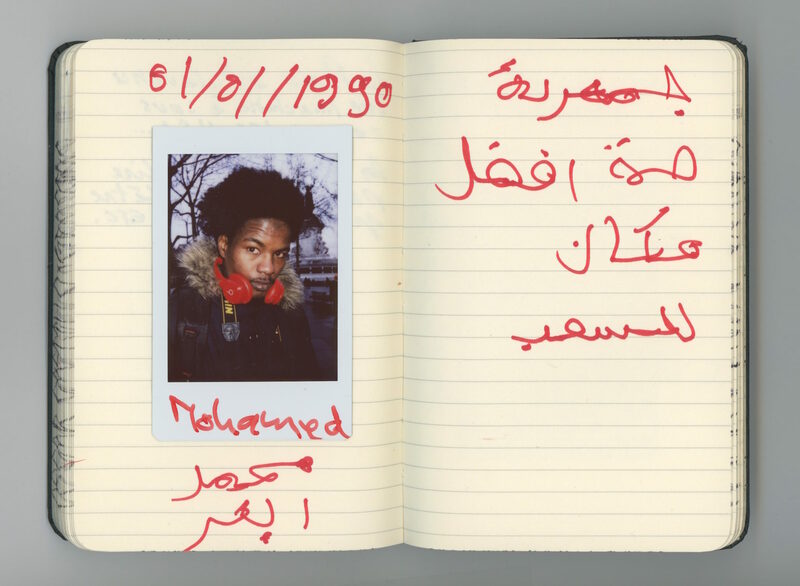 His book Plongée au coeur de la fabrique djihadiste analyzes the paths followed by the two young Koachi brothers as they passed from a precarious childhood of abandonment and crime to jail and Islamic radicalization, ending up as the terrorist attackers of the Charlie Hebdo magazine. Oscar has been working for the last years on a long term project about the causes and consequences of violence in his home country and its relationship to the political fracture Venezuela currently endures. His work has been published in TIME Magazine, the New York Times, International New York Times The New Yorker, L.A. Times, Neue Zürcher Zeitung, Foreign Policy, Der Spiegel, L’Internazionale, LFI Leica Magazine, La Vie Magazine, Days Japan and other different major international publications and exhibited in France, Germany, Italy, USA, Spain, Cambodia, Lithuania, Colombia. He is a 2016 Magnum Foundation Grantee for his work about the situation of Islam in France as well as a 2016 winner of Eugene Smith Fellowship. Parallel to his photographic work Oscar developed a passion for teaching, being photography as well an important tool for education, inclusion and social improvement. As instructor and teacher he has been sharing his photographic and social points of view in participatory photographic workshops with kids from excluded communities in Mexico, youngsters in IDPs camps in post-earthquake Haiti or inmates inside Venezuelan prisons. He has also taught in formal educational programs in Colombia, Argentina, Venezuela and elsewhere. Oscar has been participating regularly at Foundry Photo Workshops, first as student in Mexico and India, later as assistant in Argentina and Bosnia, and finally as an instructor in Guatemala.